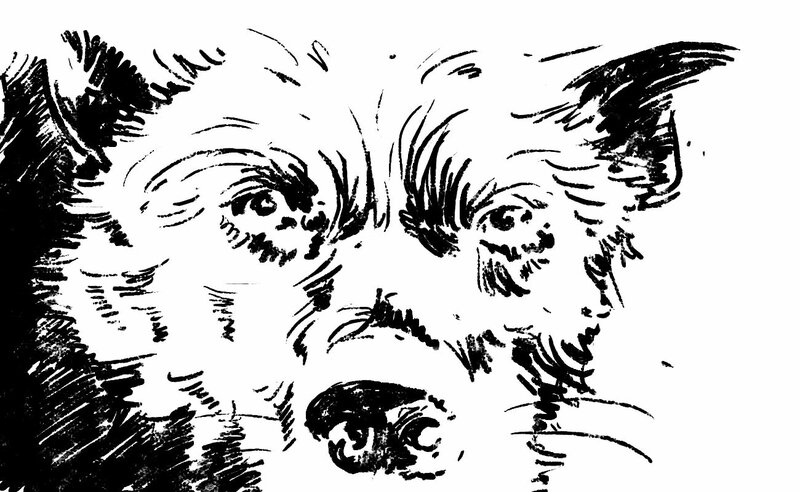 Drawn with the new Photoshop inking brush “Fun Runner” it’s a nice responsive loose sketching brush with a grungy dry media look. The latest oil paint brush “Picky Fuss” a responsive, stark, sharply defined thick and pasty oil brush is now in the store. To celebrate, it’s free until Thursday July 17th with a share. 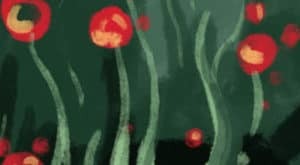 Expired Share below, then click the link that appears and it will be added to your cart and you can check out and download it for free. 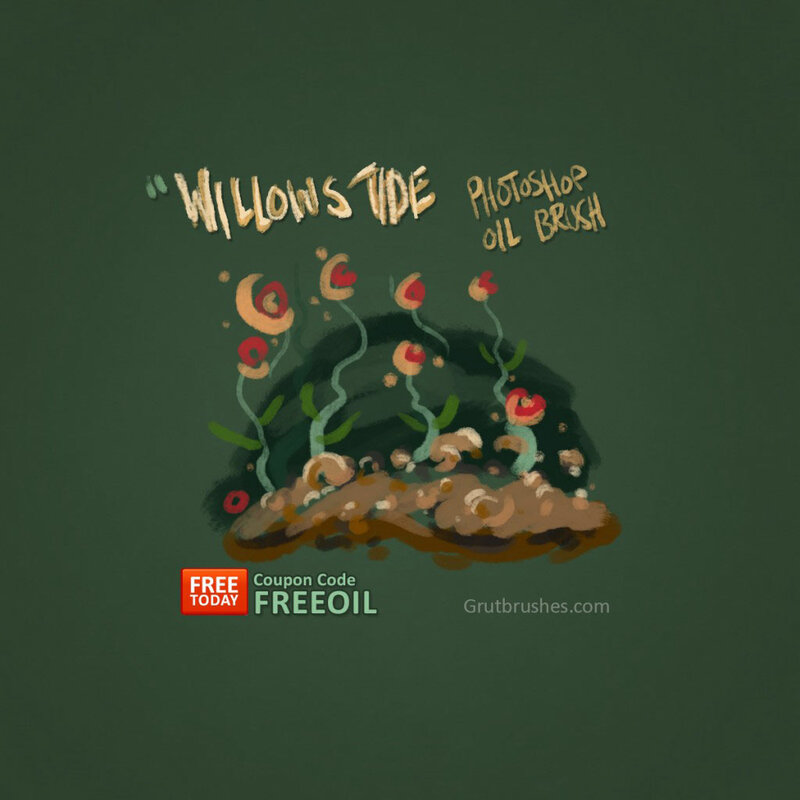 My latest brush, “Willows Tide“, the first of many oil paint brushes for Photoshop is now in the store. 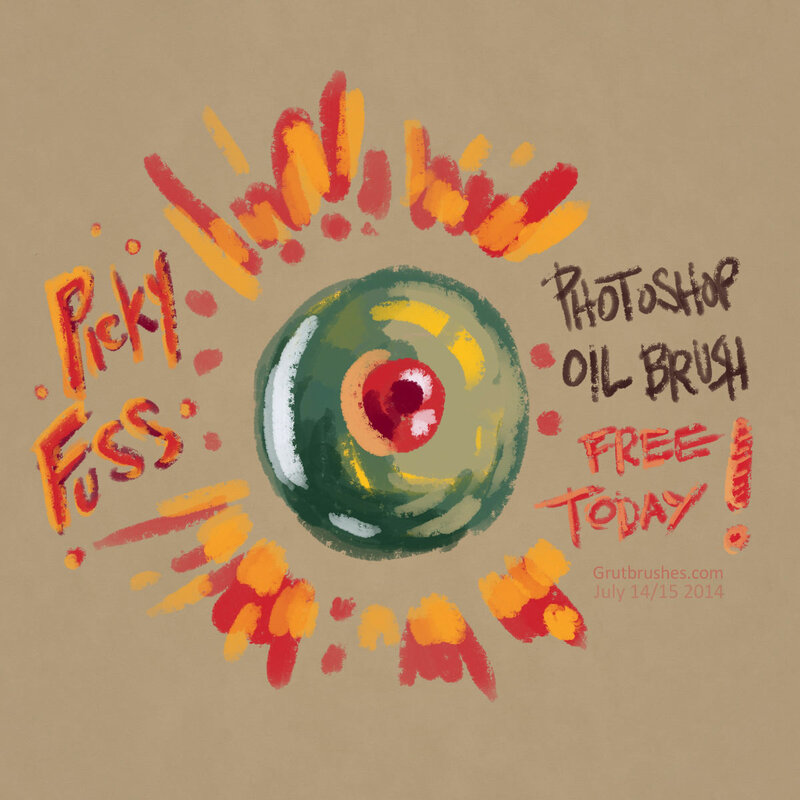 As I’ve been doing recently, you can download this brush for free for the next two days (until Friday July 10th) if you enter the coupon code freeoil (expired). Using this brush should give you digital artists a boost in reproducing oil paint or oil pastels in your digital paintings and drawings. 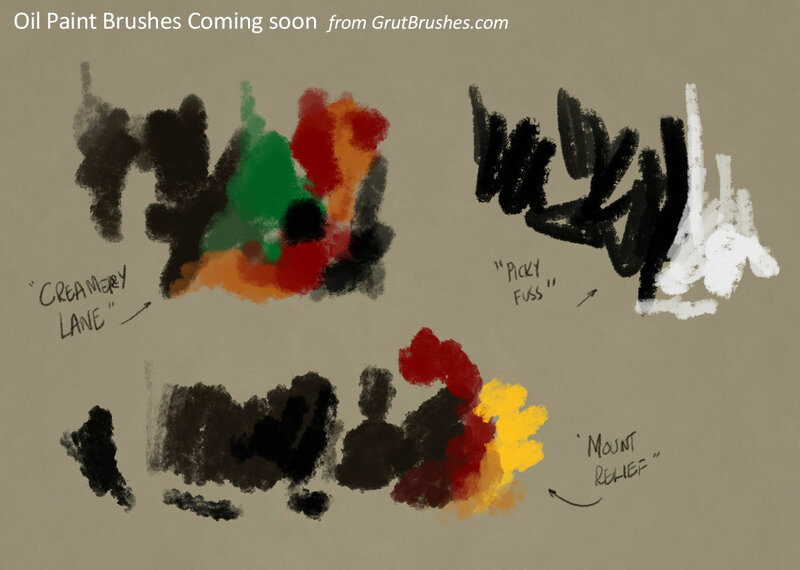 There are currently several other oil brushes in the workshop that will be ready to publish soon. Here’s a video of the brush in action. While portions of it are sped up, the beginning, middle and ending is real time. 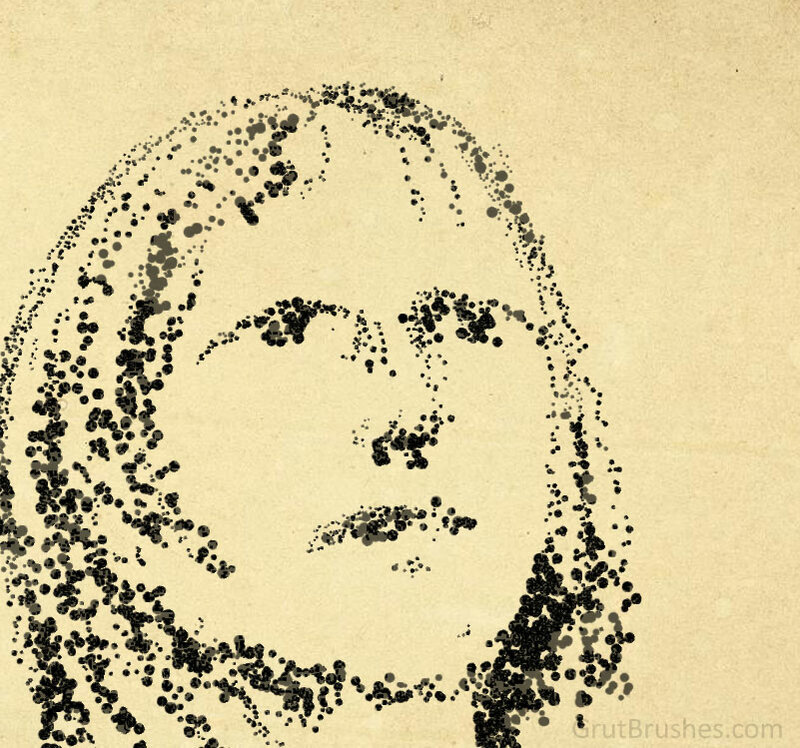 Note the realistic ‘feel’ of the digital brush strokes painting on and the unique organic texture that varies with each stroke. Best watched full screen in HD to catch all the pigmenty detail.